Telepathic football: Manchester United 1999 vs 2013. Who wins? Dwight Yorke and Andy Cole's best years may be behind them, but the former deadly duo for Manchester United where among the most feared in the land when they were in their prime and this was partly down to their seemingly telepathic sixth sense. 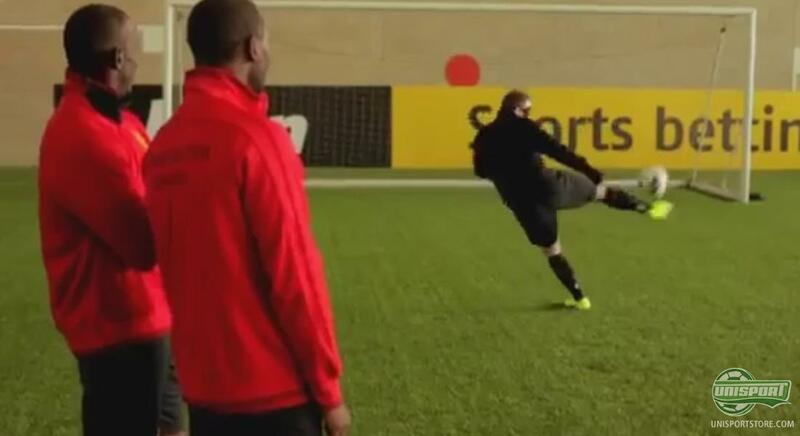 Now the boys from 99 are challenging the current strikers, Wayne Rooney, Danny Welbeck and Javier Hernandez. Anyone who had the pleasure of watching Dwight Yorke and Andy Cole display their massive talent, is well aware, that what they bore witness to was truly unique. The two strikers were dauntingly unpredictable for defenders, but no matter what capricious move they attempted Yorke and Cole always seemed on the same page. 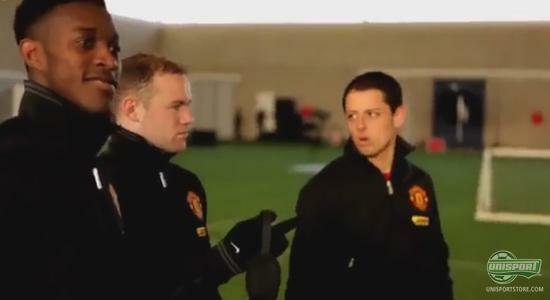 Now they challenge the current crop of United strikers to prove that they have the same understanding in the video above. Wayne Rooney, Javier Hernandez and Danny Welbeck trooped up to take the challenge and were completely blindfolded. Yorke and Cole did the same and then it was all about seeing who could find their partner without beeing able to see. Both teams did so with flying colours and it was quickly apparent that a more difficult test was needed, so they upped the difficulty. One juggle, two juggle... but that was about all they could manage. It was almost impossible to hit each other when blindfolded, but none the less they managed to do so a couple of times. After that it was time for the final challenge, where the one of the two was allowed to take off his blindfold and hit some crosses for his still blinded partner. 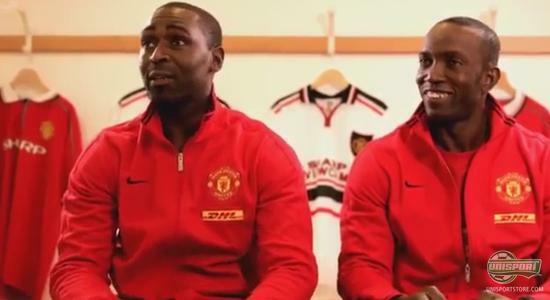 Here Dwight Yorke and Andy Cole were cold as ice and converted their first cross into a goal. The new boys faltered slightly and Rooney failed to connect with Welbecks crosses. A failed header and misses overhead kick were the result of their first couple of efforts, which prompted their Mexican colleague to lose faith and proclaim: We are going to be here forever. This was before Rooney did what he did best and slammed a first time volley into the top corner, which even Cole and Yorke had to applaud. It was a rather amusing test of the former and current United strikers' ability to find each other without being able see and we have to say they were quite impressive. What do you think about the funny video? And what about Rooneys volley? Share your comments with us in the box down below.